The creative business section of my humble little blog is currently brimming with fabulously talented people! (I promise I will get through everyone and share the creative love). This week I am delighted to share a wonderful creative business that I had the pleasure of styling and photographing last month. May I introduce the lovely Sarah Wants. 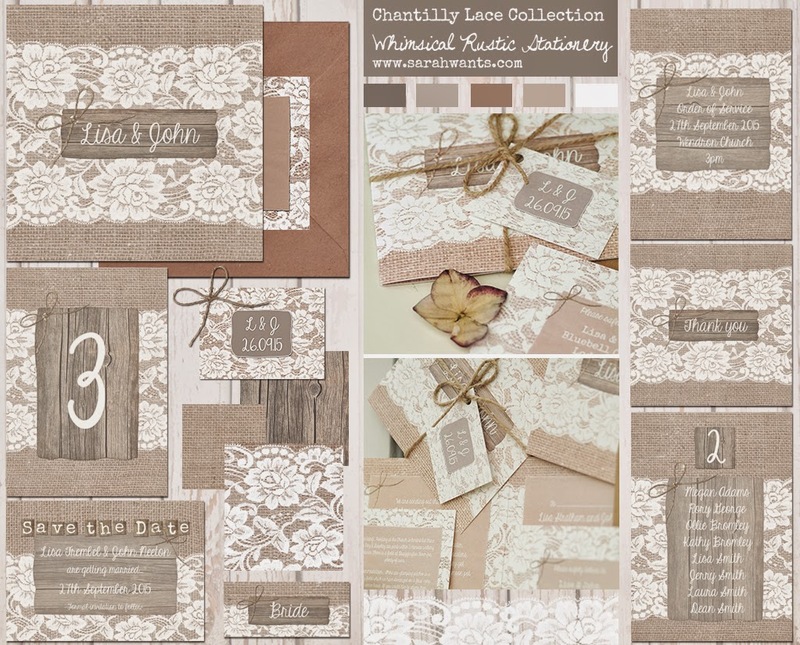 Sarah designs gorgeous rustic and romantic wedding stationery, read all about her creative life and get inspired! From a young age I always wanted to have my own creative business. I tried a few different things before stationery, I had a little jewellery business, then sold lampshades and even thought about being a wedding planner and opening a shop! You could say they were failures, but I like to think that was all part of the journey to get to where I am today. I started stationery because I just love colour, pattern and texture. It’s a way to combine all of the things I love in a creative way to share with others. What kind of training/experience did you do? I studied interior design at university, due to my love of colour & pattern I thought it was the best course to take. Turns out it was more like interior architecture and more the technical side of design with CAD drawings and design of commercial spaces rather than the softer side of things. I saw it through, but with hindsight I should’ve taken textiles or illustration! Not a waste though as in a way interior design was the composition and layout of different elements of a space and colours to look harmonious in a 3D form; I do the same thing now but just on paper in a 2D form. I learnt all of the digital programmes that I use today so as I said; all part of the journey! On graduating I took a course in surface pattern design and that was it, I was hooked. I learnt how to take inspiration from things that I see in everyday life and recreate it in my own way and add to it to make something new. This is what I do with my stationery, the finished design is always inspired by something I’ve seen in everyday life. I’ll wake up around 7am and eat breakfast with my husband before he goes off to work. Do a few house chores and then I’ll get to my desk around 8.30am. The first thing I have in front of me is a list for the day which I would’ve made at the end of the previous day. I like to schedule my tasks into time slots, it gives you a deadline and makes it super productive to get things done as I always try and race the clock! So I won’t open my inbox and put my phone in aeroplane mode so there are no distractions and I’ll start the day with the most stimulating tasks such as designing or creating new things, when my brain is most fresh. Then there may be some orders to pack and a post office run with a little 10 minute walk by the sea at lunchtime. I will always have emails to reply to and tend to do these later in the afternoon. Then I get a little second wind at around 4pm and turn the music up louder to keep me going for that last bit until 5.30 when my husband comes back through the door. I then promise myself to call it a day (but not before writing tomorrows to do list!) and have the evening off or else I could just work all night. Sounds a bit silly, as most people start their own business to get away from the 9-5 structure but it seems to work for me! Sometimes I’ll do a bit of work on Saturday mornings or into the evening-it just depends what I have on. My busy season in January – July so will demand more of my time in those months. How do you manage the family-work balance? Well I don’t have children yet so that is one less thing to consider. Plan to start a family in the next few years-we’ll see how I cope with that! I know I can’t have 9 months maternity leave like a normal mummy or else I won’t have a business to come back to. I will need extra help to balance work and children and my typical working day will most probably drastically change. I’ll get a nanny to come to the house and also an assistant to help me with the business. So my time is shared between the two. As it’s just me and the hubby for now, it is easy to have the 9-5 structure to match his work so we can spend the evenings and weekends together. Probably learning to call it a day and switch off! When you do what you love, it doesn’t feel like work. When I’m working at 10pm at night or on a Saturday, it doesn’t make a difference to me. I honestly lie in bed at night, thinking about tomorrow and get excited to wake up and start the day! However I have learnt that burning the candle at both ends is not good for your emotional health which therefore will affect your business and performance; a break is good for the soul. You need to take time out to grow and I come up with my best ideas when I’m away from my desk. You need to give yourself and your brain space to think, imagine and be inspired. Sometimes it is hard to walk away so you just have to be strict with yourself and go for a walk and see some people and other surroundings-that is important too! You can then come back with fresh eyes, recharged and ready. Work hard and play hard. From my world! Sounds strange but I just go through life with my eyes and ears open to the world around me. I constantly take photos of things when I’m out and about, it might be a flower growing in a garden, the peeling paint pattern on an old door I walk past or just a pretty combination of colours in a shop window. My Cornflower meadow design was inspired by the beautiful painted wooden shutters I saw on holiday in France earlier in the year. I just couldn’t stop taking photos of them everywhere I went. I knew I had to just bring that colour and texture into one of my designs! 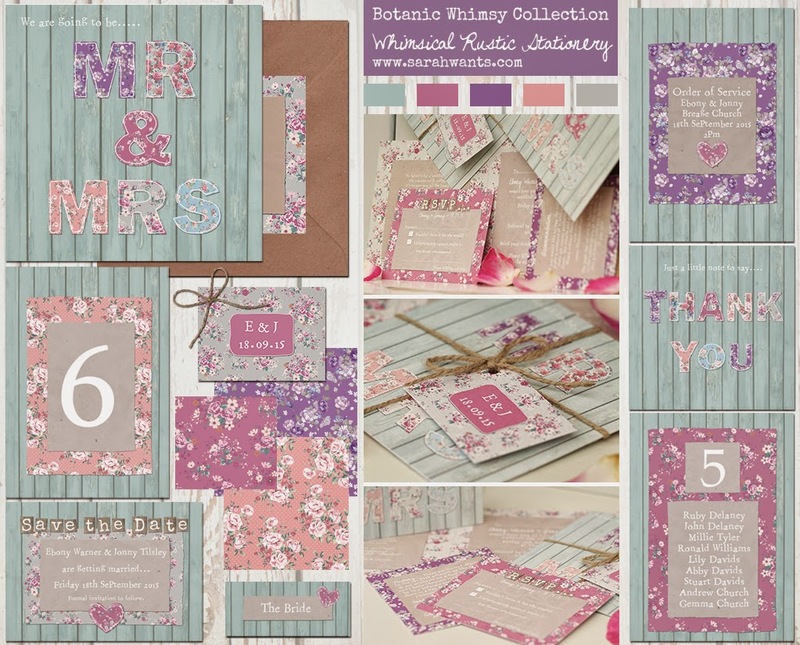 My lovebirds design was inspired by the little birds that flit about in my garden. The love is in the air design was inspired by scattered confetti on the floor outside the church and the romantic notion that ‘love is in the air’ at a wedding. So a design will start off with a spark of an idea like that and then just grows and evolves. 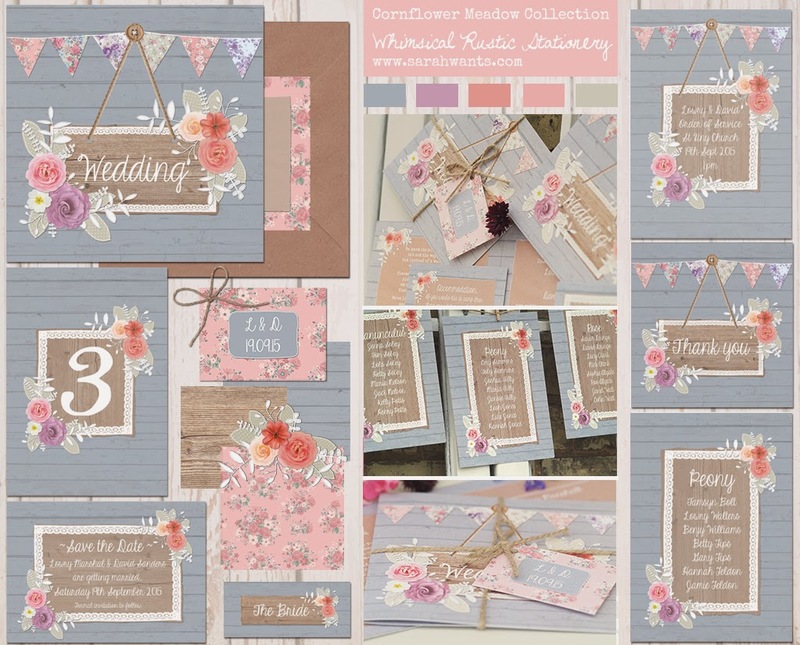 I love adding flowers, floral patterns and bunting and just little rustic details to build up the layers of texture and colour. This is where the real me shines! Do you use social media to reach your clients, and which ones work well for you? I use Instagram, Facebook, twitter and Pinterest. I find twitter is good for connecting with the wedding industry and find Facebook and Pinterest is best for getting out there in front of your actual clients. Instagram I just love-it makes me so happy! Is there any advice you could give to others wanting to start their own kitchen table business? If you’re going to start a business you need to be prepared for serious hard work! It depends if you just want it to be a bit of a hobby to make a bit of extra on the side or whether you want it to be a full time breadwinning business I guess. Don’t underestimate the amount of time, money and effort you need to put into it. Mine started off at the kitchen table in late 2012 as just a little test really, and it just grew from there. I worked hard on it in my spare time whilst working full time whilst the business was still young and then went part time and then eventually gave up my day job to work full time on the business from home. That was a scary but fabulous feeling all in one! We are building our forever home in the country in January and going to build a garden studio to work from. I can’t wait-it will have an outlook of rolling green hills and distant sea glimpses and I can watch the sunset every day from my desk-bliss! 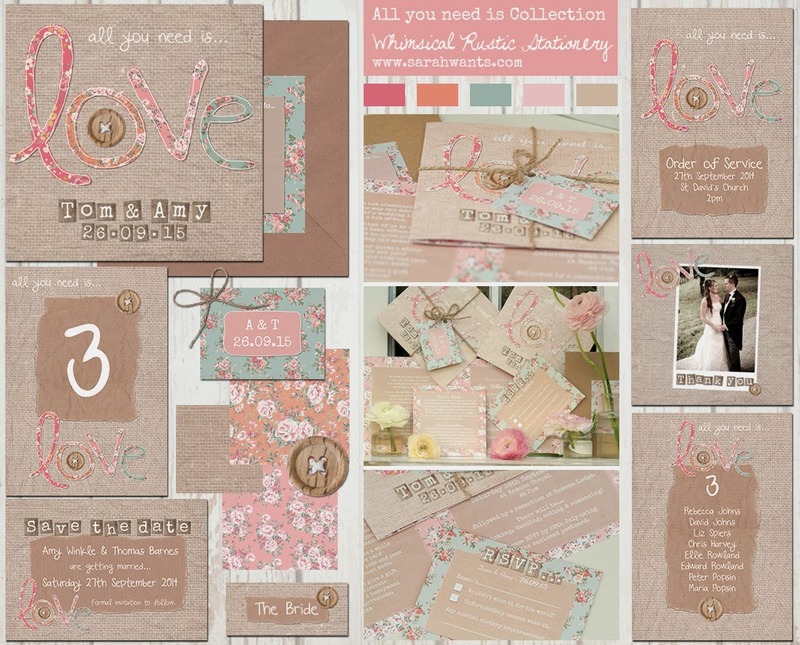 I also won the ‘Best wedding stationery 2014’ award from Wedding Ideas magazine earlier this year. Definitely one of the best moments of my life and was so proud of my little business. I think my business has taken off because I literally put my heart and soul into it. I am my business and my business is me. My advice to anyone wanting to start a business is to not put too much pressure on yourself at the beginning, there has to be a certain amount of time to pass to let things grow and develop. These things take time; it just doesn’t happen overnight! Be open to change, listen to your customers and let the idea organically evolve. Also you need to do something that you are passionate about. So many people make the mistake of seeing someone else doing it and just think I could do that, but in reality when it comes to it, it’s not really them and they fizzle out. You need to have that fire in your belly for what you do, to keep you going through the tough times and for years to come. Probably that I am constantly learning and developing; I love that I am never stood still. Every day I’m working on something, towards a goal and constantly growing as a person and a business. I look back to where I was this time a year ago and there has been such a massive change and I love that. I wonder where I’ll be in a years’ time; that feeling excites me so much!